These are great and inexpensive multiple catch muskrat traps. They are constructed of 14 gauge galvanized wire mesh to protect against corrosion. They have 1" wire mesh frames and two gravity operated trap doors. 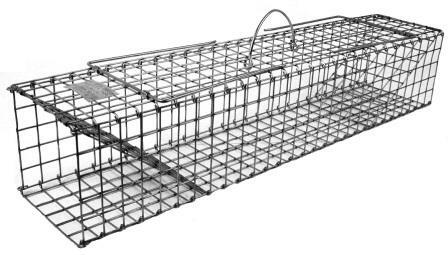 202C Model 202C is a collpasible multiple catch colony trap for muskrats and similar size animals. 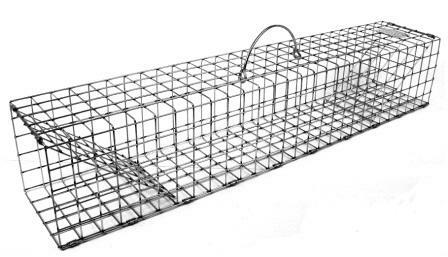 102C Model 102C is a multiple catch trap for muskrats and similar size animals.